Incorporates a full colour ProTouch™ glass control panel. 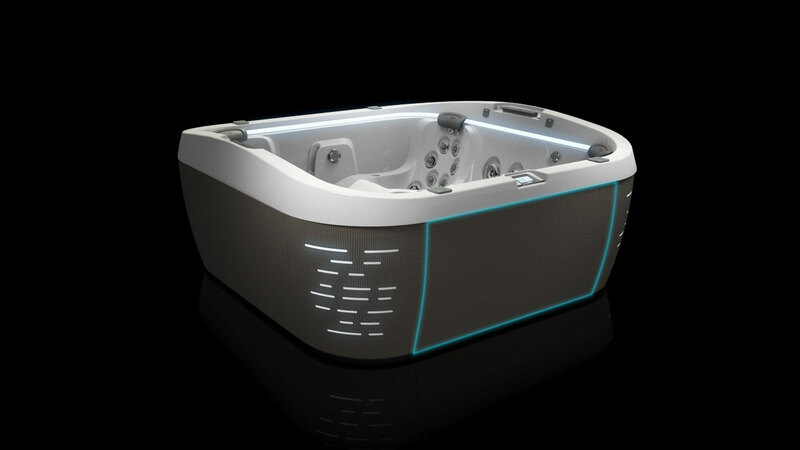 The J-500™ collection is the most technologically advanced hot tub we have ever made. The ProTouch™ control is the first water proof touch screen control panel on the market. Utilises a smartphone app for monitoring, maintenance, reminders and remote operation. 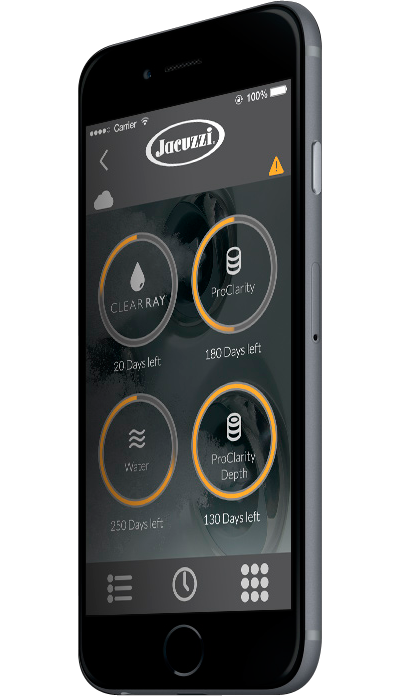 Our integrated smartphone app allows you to heat up the water on your way home, activate maintenance reminders and even alert both you and your local dealership of any service needs. Integrates a concealed clip skirt system for easy, tool free access. The concealed clip skirt system eases maintenance access without compromising the clean lines.